1862 – General Thomas “Stonewall” Jackson captured Harpers Ferry, Virginia (present-day West Virginia) and over 12,000 Union soldiers. 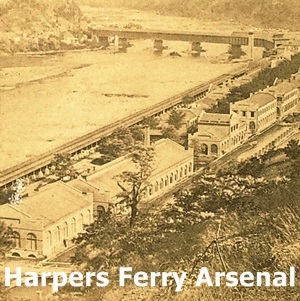 General George B. McClellan, commander of the Army of the Potomac, sent messages to Union General Dixon Miles, commander of the Harpers Ferry garrison, urging Miles to hold the town at all costs. Miles apparently treated his orders to defend the town too literally and stationed most of his 14,000 men just outside the town to the west, neglecting the commanding heights to the northeast and to the south. Once Jackson began to bombard the town from those heights, Miles – allegedly very drunk at the time – decided to surrender. Before the white flag could be raised, he was struck in the left leg by an exploding shell, mortally wounding him. 1935 – German Jews were stripped of their citizenship, reducing them to mere “subjects” of the state. 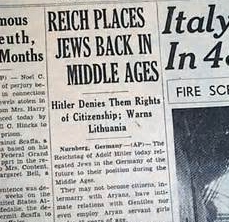 With the Nuremberg Laws imposed on this date, German Jews were excluded from a host of high-profile vocations, from public office to journalism, radio, theater, film, teaching and farming. Jews were forbidden to marry “Aryans”, and they found it difficult even to buy food, as groceries, bakeries, and dairies would not admit Jewish customers. Even pharmacies refused to sell them medicines or drugs. 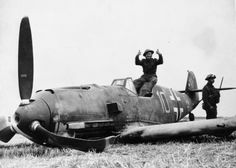 1940 – The Battle of Britain reached its climax when the Royal Air Force downed 56 invading German aircraft in two dogfights lasting less than an hour. The costly raid convinced the German high command that the Luftwaffe could not achieve air supremacy over Britain. Although heavy German air raids on London and other British cities would continue through spring 1941, the Battle of Britain was effectively won. 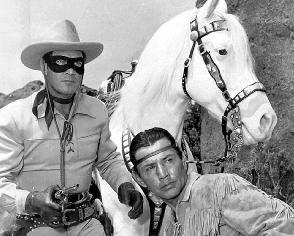 1949 – The Lone Ranger premiered on ABC. Although the program ran for eight season, that’s a little misleading. 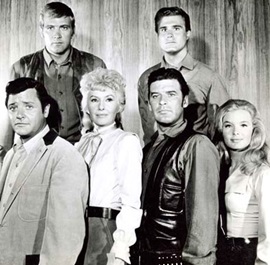 The first 78 episodes were produced and broadcast for 78 consecutive weeks without any breaks or reruns. The entire 78 episodes were then shown again before any new episodes were produced. Only five of the eight seasons actually had new episodes. 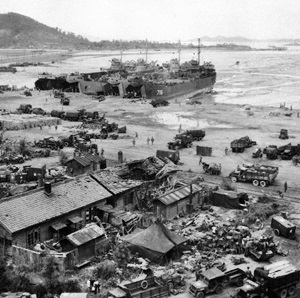 1950 – U.S. Marines landed at Inchon on the west coast of Korea, 100 miles south of the 38th parallel and just 25 miles from Seoul. The location had been criticized as too risky, but U.N. Supreme Commander Douglas MacArthur insisted on carrying out the landing. By the early evening, the Marines had overcome moderate resistance and secured Inchon. The cut the North Korean forces in two, and the U.S. led U.N. force pushed inland to recapture Seoul, the South Korean capital that had fallen to the communists in June. Allied forces then converged from the north and the south, devastating the North Korean army and taking 125,000 enemy troops prisoner. 1954 – The famous picture of Marilyn Monroe, laughing as her skirt is blown up by the blast from a subway vent, was shot during the filming of The Seven Year Itch. The scene infuriated her husband, Joe DiMaggio, who felt it was exhibitionist, and the couple divorced shortly afterward. 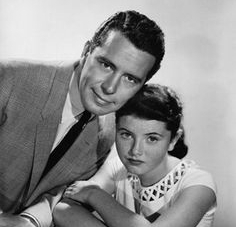 1957 – Bachelor Father premiered on CBS. 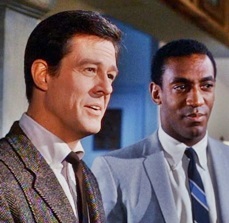 By the time the series ended in 1962, it had appeared on all three of the major networks. 1963 – A bomb exploded during Sunday morning services in the 16th Street Baptist Church in Birmingham, Alabama, killing four young girls. The church bombing was the third in Birmingham in 11 days after a federal order was issued to integrate Alabama’s school system. Fifteen sticks of dynamite were planted in the church basement, underneath what turned out to be the girls’ restroom. 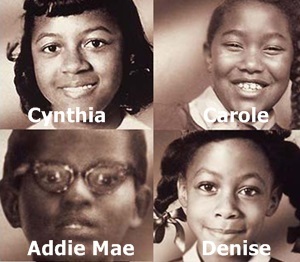 The bomb detonated at 10:19 a.m., killing Cynthia Wesley, Carole Robertson and Addie Mae Collins – all 14 years old – and 11-year-old Denise McNair. A well-known Klan member, Robert Chambliss, was charged with murder and with buying 122 sticks of dynamite. In October 1963, Chambliss was cleared of the murder charge and received a six-month jail sentence and a $100 fine for the dynamite. Although a subsequent FBI investigation identified three other men – Bobby Frank Cherry, Herman Cash and Thomas E. Blanton, Jr. – as having helped Chambliss commit the crime, it was later revealed that FBI chairman J. Edgar Hoover blocked their prosecution and shut down the investigation without filing charges in 1968. After Alabama Attorney General Bill Baxley reopened the case, Chambliss was convicted in 1977 and sentenced to life in prison. 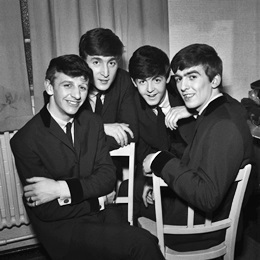 1965 – It was a busy day for television premieres. 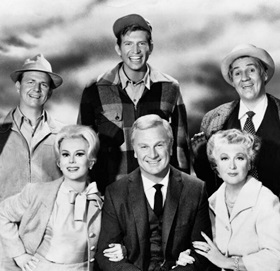 Green Acres began a six-year run on CBS. I Spy premiered on NBC. It lasted three seasons. 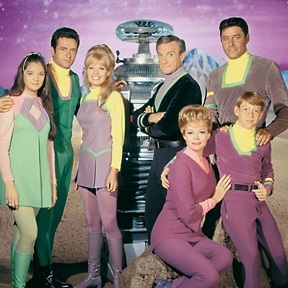 Lost In Space started a three-year run on CBS. The Big Valley debuted on ABC. It ran for four seasons. Gidget debuted on ABC. Not even Sally Field could save this one. It was canceled after one season. 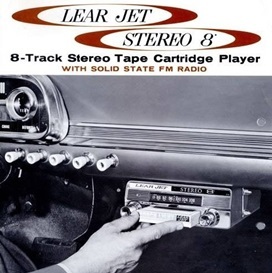 1965 – Ford Motor Company became the first automaker to offer an 8-track tape player as an option for their entire line of vehicles on sale in the U.S. Tapes were initially only available at auto parts stores. 1966 – President Lyndon B. Johnson, responding to a sniper attack at the University of Texas at Austin, wrote a letter to Congress urging the enactment of gun control legislation. Six weeks earlier, on August 1, Charles Whitman had killed 14 people and wounded 32 others during a shooting rampage at the University of Texas at Austin’s campus. Three of the victims were killed inside the University’s tower, and 10 others were killed from the 29th floor observation deck of the University’s 307-foot administrative building. 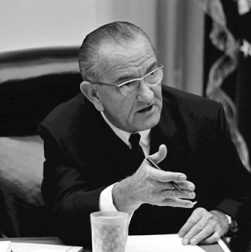 On October 22, 1968, Johnson signed into law the Gun Control Act, which primarily focused on regulating interstate commerce in firearms by prohibiting interstate firearms transfers except among licensed manufacturers, dealers and importers. 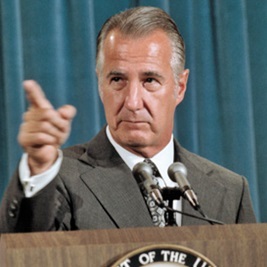 1970 – Vice-President Spiro Agnew claimed the youth of America were being “brainwashed into a drug culture” by rock music, movies, books and underground newspapers. Agnew’s critique brought a swift reaction from many in the entertainment industry and even a few public officials. One retort to came from Nicholas Johnson, a minority Democrat at the FCC. Johnson cited a number of rock songs that had negative messages on drug use, including songs by Steppenwolf (The Pusher), Canned Heat (Amphetamine Annie), and the Rolling Stones (Mother’s Little Helper). Johnson argued that more attention should be paid to the constant barrage of drug and pharmaceutical TV advertising — i.e., pills to sleep, to wake up, to feel calm, to feel excited, to conquer anxieties, etc. 1971 – Twelve members of the “Don’t Make A Wave Committee” founded Greenpeace, the environmental organization committed to a green and peaceful world. 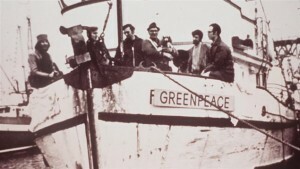 The group from Vancouver, British Columbia was aboard the Phyllis Cormack sailing to Amchitka, Alaska to protest nuclear testing. 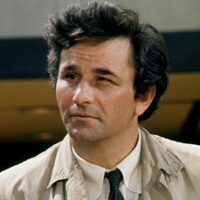 1971 – Originally broadcast as a movie of the week one-time event in 1968, Columbo premiered as a series (part of the Sunday Movie Mystery) on NBC. 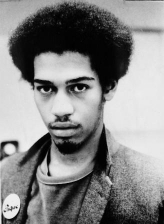 1983 – On the same day the Committee Against Racially Motivated Police Violence was holding a news conference to publicize a Congressional hearing into complaints of police abuse, graffiti artist Michael Stewart was beaten into unconsciousness by New York City police for spray painting on a wall of the First Avenue subway station. Stewart – an African American – died 13 days later without ever regaining consciousness. Three officers, John Kostick, Anthony Piscola and Henry Boerner, were charged with criminally negligent homicide, assault and perjury. Three other officers, Sgt. Henry Hassler, Sgt. James Barry and Susan Techky, who denied that they saw officers kick Stewart, were charged with perjury. All six were acquitted by an all-white jury. 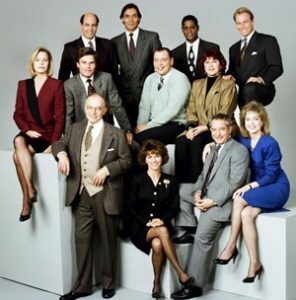 1986 – L.A. Law began an eight-year run on NBC. 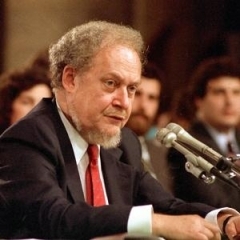 1987 – The Senate Judiciary Committee began confirmation hearings on President Ronald Reagan’s nomination of Robert Bork to the U.S. Supreme Court. The rancorous process included a strong condemnation of Bork by U.S. Senator Ted Kennedy which successfully fueled widespread public skepticism of the nominee. Bork’s nomination was subsequently defeated by the full Senate, 58-42. 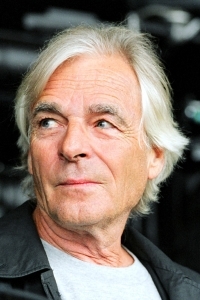 2008 – Rick Wright (keyboards/songwriter with Pink Floyd – ‘The Great Gig In The Sky’) died at the age of 65 after a battle with cancer.